The Viking age in European history was from about AD700 to 1100. During this period many Vikings left their homelands in Scandinavia and travelled by longboat to other countries, like Britain and Ireland. When the people of Britain first saw the Viking longboats they came down to the shore to welcome them. However, the Vikings fought the local people, stealing from churches and burning buildings to the ground. The people of Britain called the invaders 'Danes', but they came from Norway and Sweden as well as Denmark. Were the Vikings all bad? 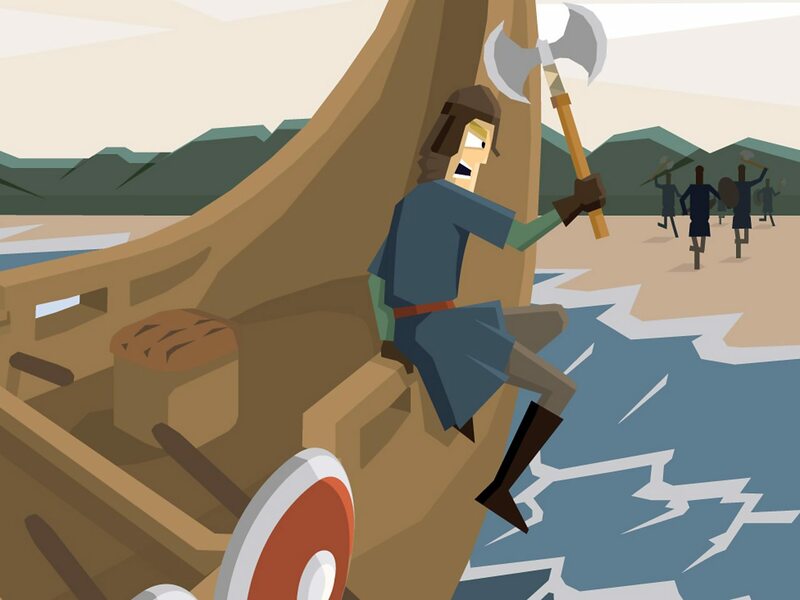 The name 'Viking' comes from a language called 'Old Norse' and means ‘a pirate raid’. People who went off raiding in ships were said to be 'going Viking'. But not all the Vikings were bloodthirsty warriors. Some came to fight, but others came peacefully, to settle. They were farmers, and kept animals and grew crops. They were skilful at crafting, and made beautiful metalwork and wooden carvings. Vikings sailed the seas trading goods to buy silver, silks, spices, wine, jewellery, glass and pottery to bring back to their homes. The first Viking raid recorded in the Anglo-Saxon Chronicle was around AD787. 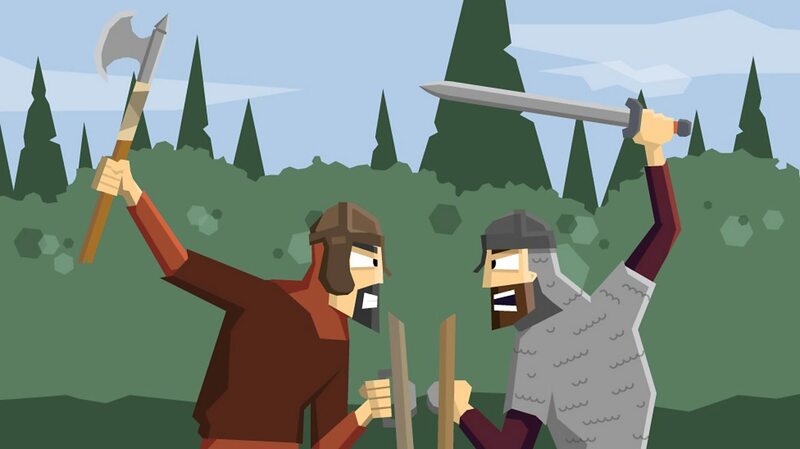 It was the start of a fierce struggle between the Anglo-Saxons and the Vikings. The Vikings were pagans, not Christians like most people living in Britain at the time. They did not think twice about raiding a monastery. Christian monasteries in Britain were easy targets for the Vikings. The monks had no weapons and the buildings were filled with valuable treasures, like gold, jewels and books. 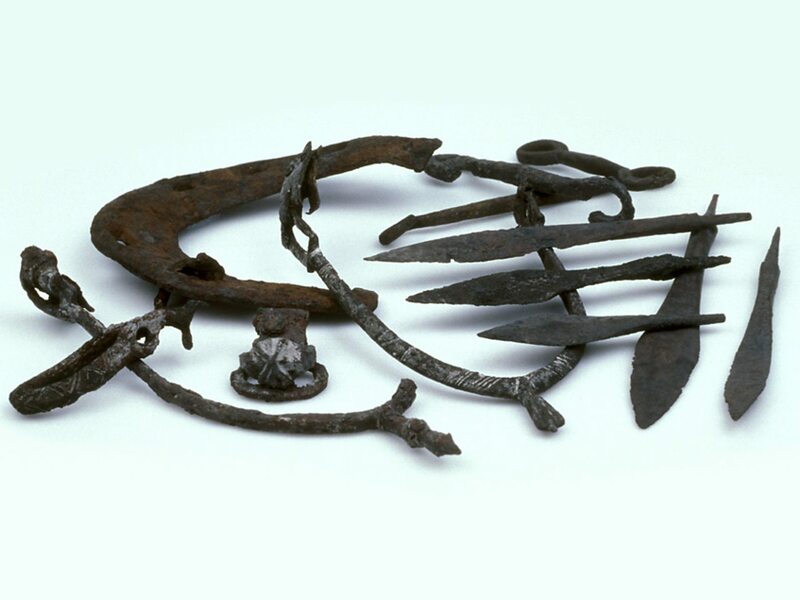 There was food, drink, cattle, clothes and tools too – all very tempting to a Viking raider. In AD865 an army of Vikings sailed across the North Sea. This time they wanted to conquer land rather than just raid it. Over several years the army battled through northern England, taking control of the Anglo-Saxon kingdoms of Northumbria, East Anglia and most of Mercia. By AD874, almost all the kingdoms had fallen to the Vikings. All except for Wessex, which was ruled by Alfred the Great. King Alfred beat the Viking army in battle but wasn't able to drive the Vikings out of Britain. After years of fighting the Vikings and Alfred made a peace agreement. But even after this agreement, fighting went on for many more years. An imaginary dividing line was agreed to run across England, from London in the south towards Chester in the north west. The Anglo-Saxon lands were to the west and the Viking lands, known as the Danelaw, were roughly to the east. The Danelaw covered an area east of their line joining London and Chester. Everything to the east belonged to the Vikings. There were three main areas where Vikings lived - Northumbria (which included modern-day Yorkshire), East Anglia, and the Five Boroughs. A borough was a town and the five towns were Leicester, Nottingham, Derby, Stamford and Lincoln. Viking families came to settle on these lands. Good farmland was scarce in the Vikings' own countries, and they were looking for a better life. The most important city in the Danelaw was the city of York, or ‘Jorvik’ (pronounced 'your-vick'), as the Vikings knew it. Over 10,000 people lived there and it was an important place to trade goods. Many towns and cities in Britain that were founded by the Vikings can still be spotted today. Places that end in -by, -thorpe or -ay were almost certainly Viking towns. This photo shows evidence that the Vikings of Jorvik went horse riding and hunting. These are stirrups, weapon points and a horseshoe. Looking for more learner guides about the Vikings? Find them here.